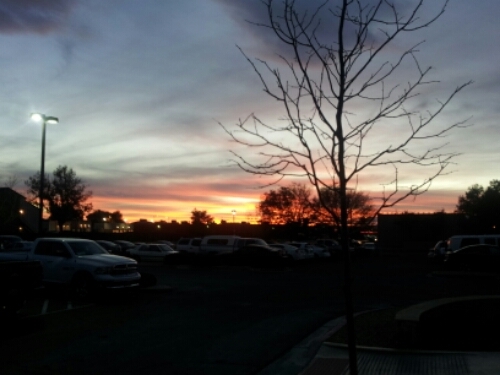 This is a snap of sunset last night in Albuquerque. This morning there was 6″ of snow on I-40 east of the city. We drove west and found sunshine in 30 minutes that lasted the rest of the day. Tonight we are in Williams Arizona. We’re looking forward to your return to the (relatively) warmer climate of Seattle. It’s been cold here, but nothing like the two of you have encountered.